Volunteers are vital to accomplishing Camp Eagle's vision, and we can't thank our volunteers enough. If you'd like to volunteer at Camp Eagle, please fill out the volunteer workday release form by clicking on the button below. If you'd like to learn more about upcoming volunteer opportunities, complete the form below to get more information! All volunteers under the age of 16 must be accompanied by an adult. Need Info on Opportunities to Volunteer? 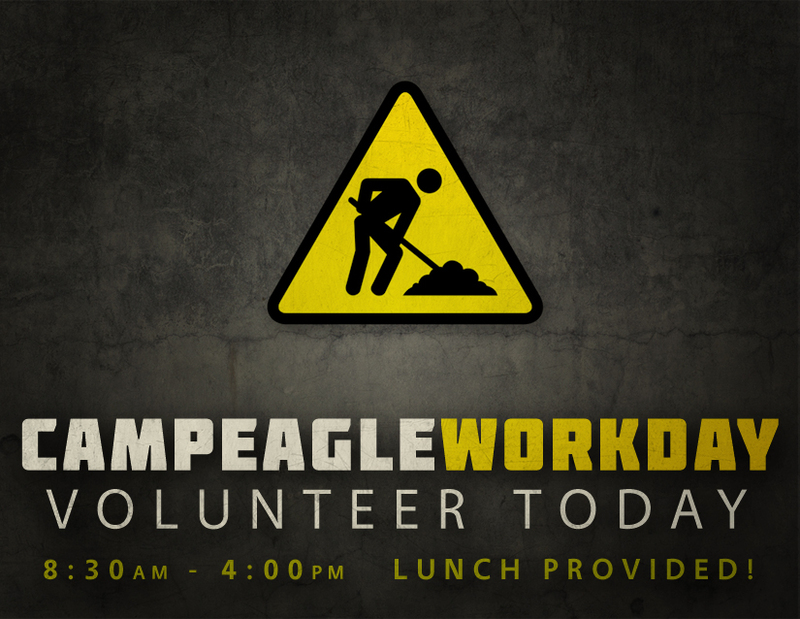 By volunteering for a Camp Eagle Workday, I am aware of the risks associated with workday activities including the machinery/equipment involved. These activities include, but are not limited to: carpentry, construction, painting, chainsaw work, mowing, weed eating, landscaping, cleaning, food service, electrical work, ditch digging and heavy lifting. Since my personal safety is of the utmost importance to the Camp Eagle Staff, I agree that once made aware of the rules, regulations, and standards as set forth by the Camp Eagle Staff, I will abide by them or accept dismissal from Camp Eagle property. I assume all risks and will hold Camp Eagle and its sponsoring organization, Shenandoah Baptist Church, (along with all employees or agents of Camp Eagle and Shenandoah Baptist Church), harmless from any and all liability, actions, causes of action, debts, claims and demands of every kind and nature whatsoever which I now have or which may arise from or in connection with my participation in the activities arranged for me and/or others by Camp Eagle. If the participant is a minor, the undersigned parent or guardian must give permission for the minor to participate in events and activities sponsored by Camp Eagle and accepts all risks as stated above. The Volunteer Release Form should accompany each participant to the event or be completed online, click here for the Volunteer Release Form.